The European Cluster Collaboration Platform (ECCP) is an action of the Cluster Internationalisation Programme for SMEs funded under COSME launched by DG GROW of the European Commission in 2016. The ECCP provides networking and information support for clusters and their members aiming to improve their performance and increase their competitiveness through trans-national and international cooperation. This is the stage on which cluster organisations present themselves - their structures, services, experiences and above all, their interest in cooperation with peers. We invite you to explore this diverse cluster community, identify your potential cooperation partner and show the world what you are good at - by profiling your organisation ! The European Strategic Cluster Partnerships for smart specialisation investments (ESCP-S3) are transnational cluster partnerships that support cluster cooperation in thematic areas related to regional smart specialisation strategies and to increase the involvement of the industry in the context of the Smart Specialisation Platform for Industrial Modernisation. The European Strategic Cluster Partnerships – Going International (ESCPs-4i) are transnational cluster partnerships that develop and implement a joint internationalination strategy and support SME internationalisation towards third countries beyond Europe. The European Strategic Cluster Partnerships have been launched by the European Commission as effective means of supporting cross-border collaboration for the benefit of SMEs with the ultimate goal of boosting economic growth and competitiveness in Europe. ECCP organises inter-European matchmaking events, as well as opportunities for you to meet your peers from other countries – either in EU or abroad. Find also additional international matchmaking opportunities promoted here. In a globalised world, SMEs need to be able to confront increasing competition from developed and emerging economies and to plug into the new market opportunities these countries will provide. As an information hub, ECCP collects and structures a wide variety of information relevant for cluster organisations from various European programmes and initiatives like the ones below. These are supporting in different ways the interaction between clusters and for driving the competitiveness of European businesses. We offer you here the unique opportunity to find out more about the most relevant cluster-related projects and what you can learn from them. Or, why not, cooperate with them! The cluster community in Morocco is growing. Morocco first engaged in cluster development policy through the “Pacte National pour l’Emergence Industrielle” in the late 2000’s. Today, Morocco’s cluster programme consists of the “Stratégie Maroc Innovation” programme, which aims to improve R&D and promote innovation. Cluster-to-cluster cooperation between the EU and Morocco is in its beginning stages, although several and strategic sectors for cooperation have been established, as well as cluster organisations in the EU and Morocco looking for cooperation. Morocco is one of the most developed economies in Africa. With a total GDP of just above USD 109 billion in 2017, and with a GNI per capita of roughly USD 3.000 p. a. (current rate), Morocco is a middle-income economy. It is the sixth richest African country and ranks 11th in terms of GDP per capita, in Africa. Though Morocco is progressively shifting towards an industrial and service-based economy, agriculture is still important, with a booming export sector driven by fishes and seafood, tomatoes and citrus. The industry accounts for 30% of the Moroccan economy with strength in the automotive and aeronautic industries, textile, energy and ICT. Morocco’s service economy is well-developed with banking and finance, as well as tourism boosting the sector. Originally, Morocco engaged in cluster development policy through the Pacte National pour l’Emergence Industrielle. In 2009, the objective of this pacte was to develop 15 national cluster initiatives. Today, Morocco’s cluster programme consists of the “Stratégie Maroc Innovation” programme aims to improve R&D and promote innovation targeting triple-helix agents. The cluster programme combines a top-down and bottom-up approach: state support and at the same time initiating cluster competition. Further cluster organisations are promoted by other stakeholders such as the solar cluster or the Industrial Cluster for Environmental Services (CISE). Additionally, Morocco actively pursues an industrial policy plan (“Plan D’acceleration industrielle”) until 2020 which includes the development of cluster organisations and cluster policy.Read less. Through the Plan D’acceleration industrielle, the internationalization of clusters has been a particular area of focus for the Moroccan government. 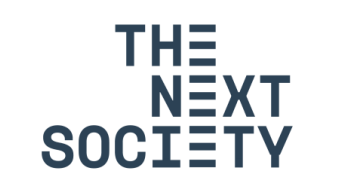 The Next Society, which aims to reinforce EU-South Mediterranean countries economic and innovation cooperation, is a programme funded by the European Commission. It works notably on developing cluster collaboration between Europe and Mediterranean countries, including Morocco. Get to know more about Morocco: ECCP analyses are out! Are EU companies adopting digital technologies? How to update information on my profile, after validation? How to subscribe / unsubscribe to the newsletter/weekly digest? How to get a new password to access my profile? How to add the consortium members to an ESCP-4i profile ? How to place our cluster profile on the map, after publication? © European Union, 2019. Reproduction is authorised provided the source is acknowledged. The information and views set out in this website are those of the author(s) and do not necessarily reflect the official opinion of EASME, the European Commission or other European Institutions. EASME does not guarantee the accuracy of the data included in this website. Neither EASME, nor the Commission or any person acting on their behalf may be held responsible for the use which may be made of the information contained therein. the Competitiveness of Enterprises and SMEs (COSME).